Painting the walls is something you can do to a room that instantly changes the look and feel of the room. Changing the color or adding accent colors to walls and trim is an inexpensive way to make a dramatic change. If you're not sure what color to use and what color trends other homeowners are using, we can assist with your interior paint color schemes. We will evaluate the room and give you a clear estimate that includes the best paint for your kitchen, living room, bedroom or bathroom. Interior painting is a project that many homeowners feel they can do themselves. Of course, many can. Depending on the ceiling height, the amount of time and attention you have to give to your painting preparation and size of the room itself can make the difference between a room that you want to show off or a room you close the door to. The Artisan Construction difference means that as a homeowner, your room is painted using the very best paint available. The longevity of this paint is better than the builders grade paint most painters use. Other painting contractors will use a builder’s grade paint as a way to add profit to the painting project. Artisan Construction never sacrifices materials in the project for profit. 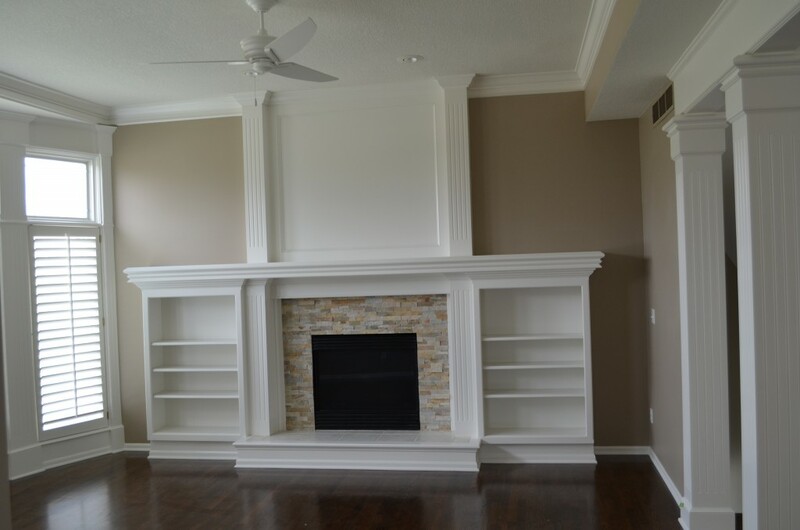 We can paint walls, cabinets, or built in furniture to bring it to life and it will look like new again! To be honest, our painting professionals are just fussy, picky people. We insist on perfection. It has to look perfect or we aren’t satisfied. As a homeowner, you may not know the difference but we do and we will always do the right thing, the right way, to make sure the room we paint is perfect. Any time of the year is a good time to paint indoors. Many clients like to get ready for an event. Give the dining room a nice clean look for Thanksgiving or Christmas or possibly painting the family room to stage a wedding or baby shower or a graduation party. Whatever the reason and whatever the room, Artisan Construction will paint your room, and it will be ready for your event or special occasion. If you want your room painted professionally with the best preparation and paint possible, contact or call Artisan Construction at (816)797-4346 today.